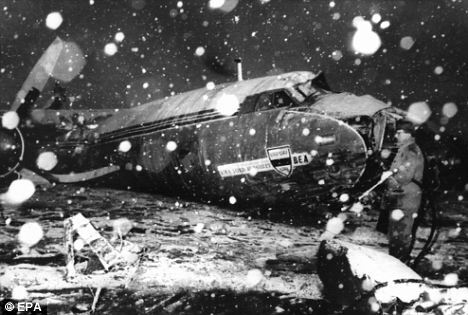 Opposing fans Of Manchester United have been singing songs which glorify the Busby Babes’ demise in the 1958 plane crash in Munich for many years. Not that the Manchester club’s fans are not guilty of similar transgressions toward rival club it should be added. The latter fact only endorses the sentiments here. I think the world of football has finally gone mad. How can one hate a team so much that you glorify a team of kids bursting with talent and vitality perishing in such a terrible way? Hatred of that magnitude is a soured and hopeless emotion. To further apply it to a game of football is hideous in the extreme in my humble opinion. Young United and England centre-forward, Tommy Taylor, was actually said to have been decapitated in that appalling crash in the German snow. Just think about that for a moment. I am not particularly a Manchester United sympathiser but that is completely beside the point. I think anyone of my generation or older knows the reason why they became so popular. It was originally down to the incredibly sad happenings of that fated day, and what Manchester United became under Sir Matt in the 1960s. My own father and several older work mates from when I was younger explained to me what a wonderful team that was, absolutely packed with exciting young players, the like of which had not been seen before within one single club. 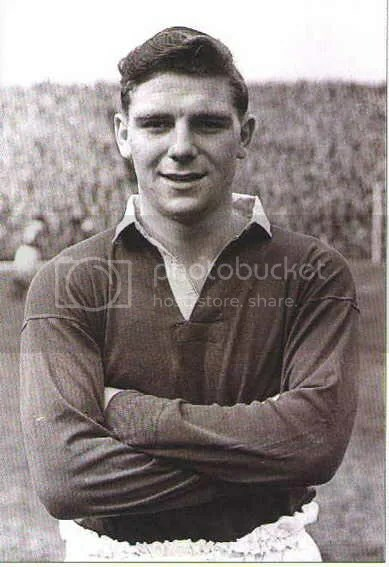 My dad always maintained that Duncan Edwards was the best footballer he ever saw – some admission for a Scot to make in those days. The first time after Munich that Manchester United played here in Nottingham against Forest with a patched up, rag bag team and their great young stars dead, drew a record 49,000 crowd. Spectators had to sit on the grass at the side of the pitch to squeeze them all in. I am reliably informed that among the Forest faithful there was hardly a single one who secretly didn’t want United to win that day. There was barely a dry eye in the house. Things have changed however. That was in an age when it seems it was easier to show respect to others generally. Also a time when it was more prevalent not to disrespect the great game of football itself. 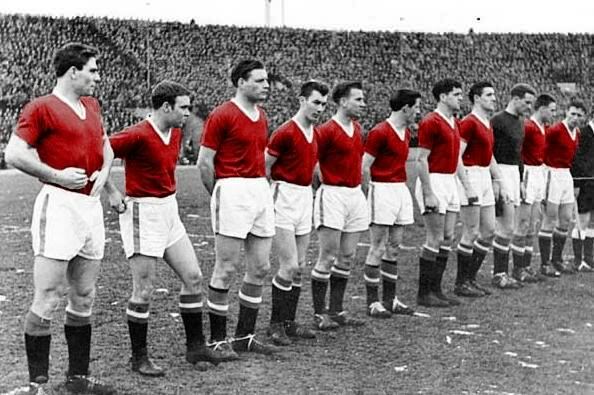 I hope that common sense and decency can prevail over the commemoration of the Munich air disaster of 1958. I wish I was more confident that they will. I was wondering if I could talk to you at some stage about your Harold Larwood stories . . .I understand from your website that you were at the Lowdham event I did. It’s the only time I thought I might have to leave by boat! Yes, I’d be happy to talk abut Harold, sometime. It would be my pleasure. Yes indeed, Lowdham. I really never thought that evening would happen! It was an extremely enjoyable event I thought. I learned later that my partner had bought your book and had it signed by you as a surprise gift for me. Congratulations on a superb book about Brian – easily the best and most illuminating I have read of the many accounts of his life. I will forward my email address. Hello Pete – how good it is to hear from you! Funnily enough, I hadn’t seen Barbara in some little time and Mel and I are due to meet her today – to watch Geno Washington in the Nottingham Market Square. Quite a coincidence hearing from you on the same day! We have a lot to catch up on Pete. I have your email address from here and will drop you a line. I agree we must all get together. Mel and I regularly go to The Fox and Hounds at Blidworth these days. I’ll mention it to Barb today and we’ll get something sorted eh. Hope you’re both keeping well and I’ll be right back in touch, mate.